Southampton came into Thursday's clash against West Ham in optimistic mood. In the space of just a few weeks, Ralph Hasenhuttl had transformed the atmosphere around the club. The victories over Arsenal and Huddersfield had lifted them out of the relegation zone, and the Hammers' visit to St Mary's was viewed as an opportunity to take another step away from danger. Instead, however, it was West Ham who took that upward step, with Felipe Anderson's quick-fire double leaving Hasenhuttl to fall back on a mantra he has mentioned more than once during his first few weeks in charge. "We don't lose," says the Austrian, "either we win or we learn." There are certainly lessons to be taken from Thursday's defeat. 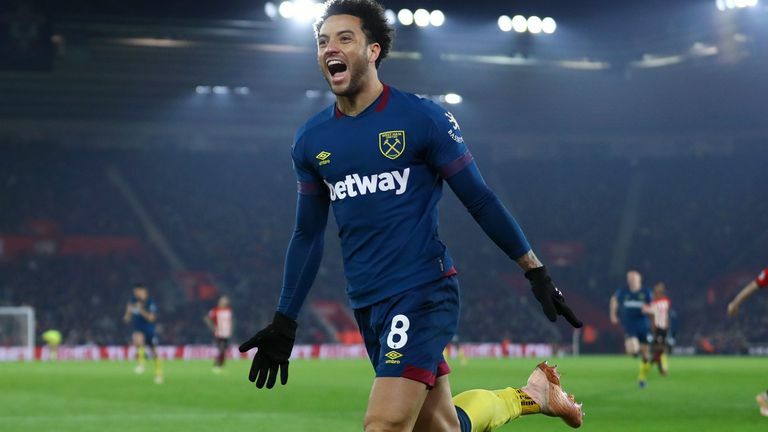 There were only three minutes between Nathan Redmond's bundled opener and Felipe Anderson's equaliser, and Southampton were behind just six minutes after that. "Managing the game is one thing we're going to have to look at," conceded Redmond in his post-match interview with Sky Sports. It was the first time they have demonstrated such vulnerability under Hasenhuttl but it is a familiar theme of their season. Southampton have lost 12 points from winning positions so far. It is two more than any other Premier League side and it is also evidence of deeply-ingrained issues which will not be remedied overnight. Southampton remain fragile when faced with adversity and their defensive frailties require attention, too. Felipe Anderson was given far too much space to dispatch the equaliser and the home side were woefully exposed on the counter-attack for his second. They have now conceded 35 goals this season - fewer only than Cardiff, Burnley and Fulham. Hasenhuttl will be aware that two of those three sides are currently sitting in the relegation zone. The victories over Arsenal and Huddersfield raised expectations but Southampton are only three points away from danger and the reality is that the hard work is still to come. 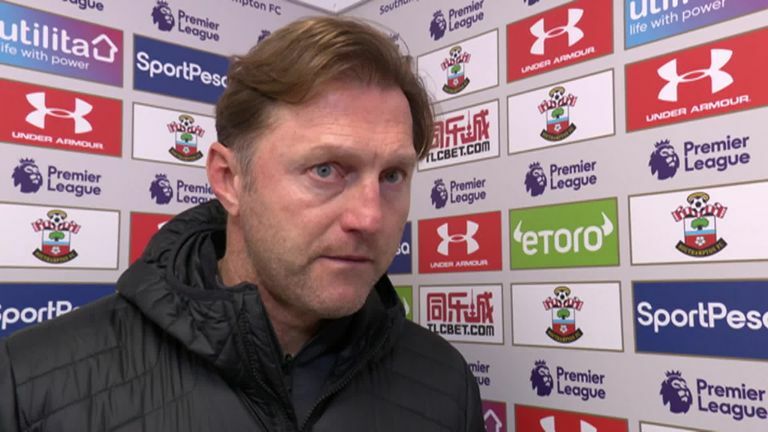 "It's not about a miracle," Hasenhuttl told Sky Sports after the game. "It's about hard work every week." Southampton are still getting to grips with Hasenhuttl's high-pressing playing style, but that is not to say his early weeks in charge have not been without encouragement. Indeed, Premier League tracking data shows a clear increase in intensity. Hasenhuttl's players covered a total of 113km on Thursday night, meaning they have run further than their opponents in every one of his first four games in charge. Under his predecessor Mark Hughes, Southampton only managed that in six games out of 15. The increased intensity was apparent right from the start against West Ham, with Danny Ings charging down Issa Diop's long pass straight from kick-off, allowing Southampton to steal the ball in opposition territory and put Manuel Pellegrini's side under immediate pressure. It was exactly the kind of aggression Hasenhuttl demands and it was not the first time his Southampton players have delivered it. Since his appointment earlier this month, they have gone from winning possession in the final third an average of just 3.1 times per game to 4.8 per game. There is a clear focus on forcing turnovers high up the pitch. Southampton have worked far harder without the ball under Hasenhuttl so it is hardly surprising that, in the midst of a busy festive period, there were signs of fatigue against West Ham. Having started the game at a frantic pace, the hosts found it hard to muster the energy to fight back in the closing stages. The pressing became disjointed and West Ham took advantage. Afterwards, Redmond admitted they had been a "little bit leggy" in the second half, adding that it is "not always possible" to press high up the pitch. "We were hungry today, but we were not that speedy like in the last two weeks," added Hasenhuttl. "The performance was not as good as we expected. We had a lot of players today not at the top level." There is no time, though, for too much reflection. Southampton host Manchester City on Super Sunday and then it is a trip to Stamford Bridge to face Chelsea three days after that. After the elation of those wins over Arsenal and Huddersfield, Hasenhuttl will prepare for the challenges ahead knowing the hard work has only just begun.